Here’s an inspiring list of great vintage garden ideas you can keep in mind the next time you’re at a garage sale, antique or thrift shop. Every year I go away with my girlfriends for a weekend getaway. Often we go to antique malls or thrift stores and there is always so much to see. Sometimes it’s really hard to take it all in. So, I started making a wish list of things I’d like to buy should I come upon them. 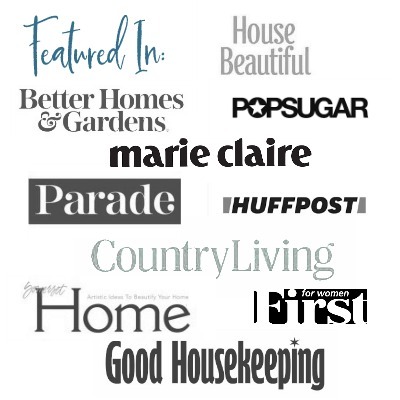 So today I wanted to share with you some of my favorite vintage garden ideas and several from other vintage lovers to inspire your own list. The first is antique garden art. I absolutely love antique botanical illustrations. You can find these online on eBay or Etsy and some places will allow you to download and print them out for free. However, if you have the time you might browse through the antique book section while shopping because you never know if you will be able to find a gem there too. The same goes for vintage garden seed packets or old flower catalogs. They have great images that you can use to create cards or wall decor and more. 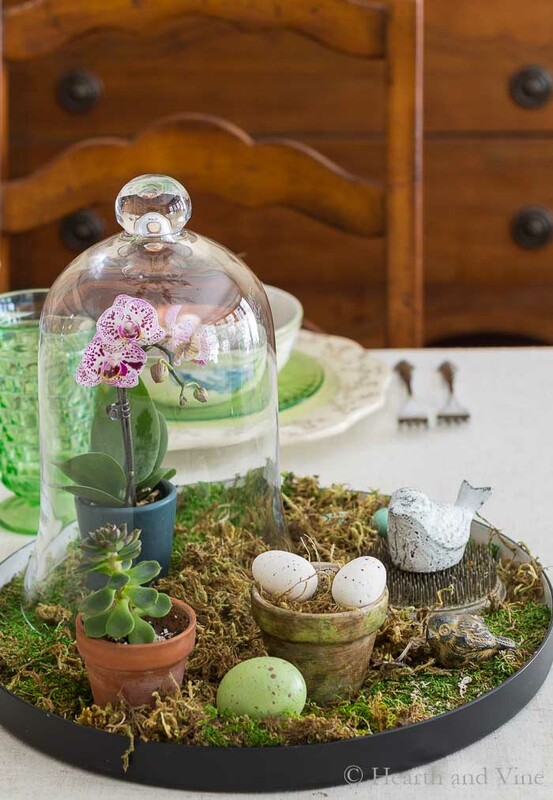 Vintage garden pieces such as flower frogs and cloches are perfect for decorating your home as centerpieces or vignettes. Posy rings and antique floral ceramic pieces look just as good today with your favorite flowers. One of the best ways to use vintage finds is in the garden. Someone once said if it has a hole in it and can hold water then you can plant something in it. This antique teacup has been a great home for my String of Pearls plant. This reproduction olive bucket was purchased at Hobby Lobby but I’d love to have a couple more if I find them antiquing. Pretty old vases and glass bottles for holding flowers are always a good bet, and I never seem to have enough pots for my plants. All of these vintage garden finds are on my list. I already have some of them, but I’m still on the lookout for more. What kinds of vintage collectibles do you like to search for? I know I could always add some more to my list. Love these ideas so many neat things you can do with vintage pieces. I have a few packed in boxes still and hoping after we finish that Tiny House I can unpack and do something fun. Going through antique stores is always fun too, I may go do that on Thursday.